Engagement Ring Styles – Which Is For You? Your first step should be to establish the shape of your hand, considering your hand’s overall size, as well as the width and length of your fingers. It is also important give thought to whether you keep your nails trimmed short or allow them to grow long, as long nails have a lengthening effect on fingers. 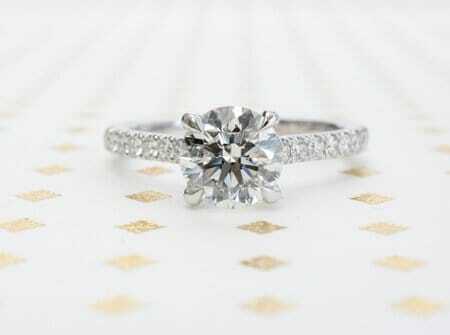 To make short fingers appear longer, search for an engagement ring that features a marquise, pear–shaped or oval cut. A narrow band is also a good choice if you have short fingers, as it will create the illusion of longer fingers. This is particularly true if you keep your nails on the long side. When in doubt, choose a pear shape, as it’s tapered point and rounded end is universally flattering. If you have been blessed with long fingers, you can embrace a variety of styles, including dramatic designs, bold cuts, and even snake styles that wind up your finger. You can also choose from among various large cuts, such as a generous-sized round stone or a princess-cut diamond set in a thicker band. These styles are especially flattering for those with long fingers. If your fingers are slim, create the illusion of width by choosing a thin band with a small stone. This helps you avoid overwhelming your fingers with large or neatly cut gems. If your fingers are not only slender, but short, a pear-cut diamond or narrow marquis cut is ideal. If your fingers are broad, avoid narrow stones, as they may further exaggerate your finger’s width. Choose cluster styles or large, round stones set in a wide band that will distract the eye and have a narrowing effect. Angular and asymmetrical styles, such as an emerald-cut diamond, also have a slimming effect for wide fingers. If your hands are small, it is important to opt for a somewhat delicate style ring with a small, round stone or a princess or heart-shaped diamond. Keeping the stone in proportion to your hand is important, as large, chunky styles can overwhelm your finger and have an unflattering appearance. For a unique look, pair a wide wedding band with a dainty, round stone. If your hands are large, avoid the dainty styles, as they will not stand out the way you would likely prefer. Bold, large designs are perfect for big hands, so do not be afraid to choose a flamboyant style. Choose a large gem in a bezel setting, and avoid slim, delicate bands. Sometimes making an on–the–spot purchase is a regrettable decision. For this reason, you should comparison shop before making a final choice. Trying on different rings is ultimately the only way to determine which style is perfect for you. 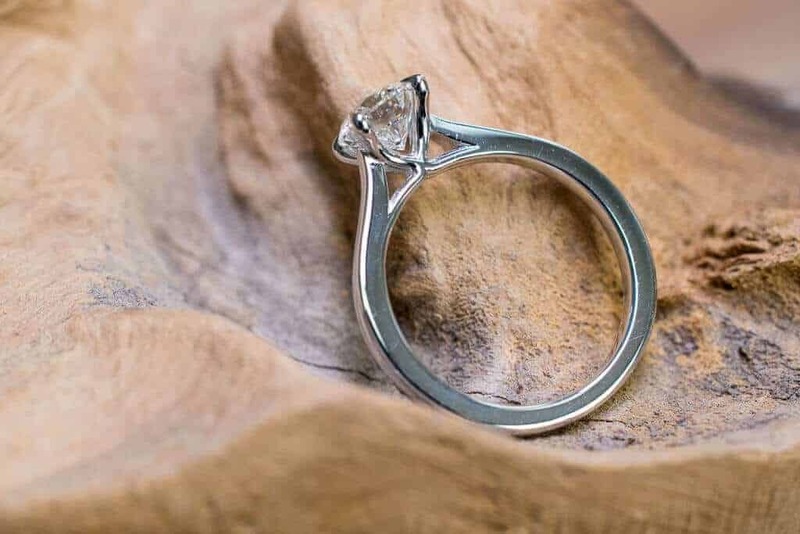 Fortunately, with all the choices available on today’s market, finding the perfect engagement ring that suits your hand can be an exciting and fun experience.